Hypersthene tumblestones, available in two sizes. Hypersthene tumblestones, available in two sizes – from 10-20MM to 20-30MM. 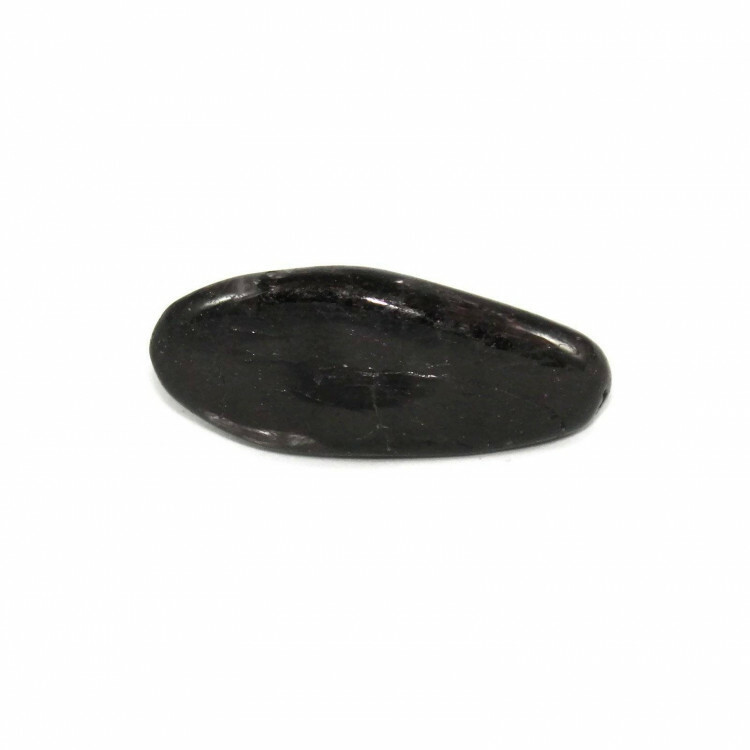 These stones are typically a dark colour – usually black with a gorgeous silvery optical effect on the surface of the stone. This mineral is quite rare, and isn’t often found tumbled. 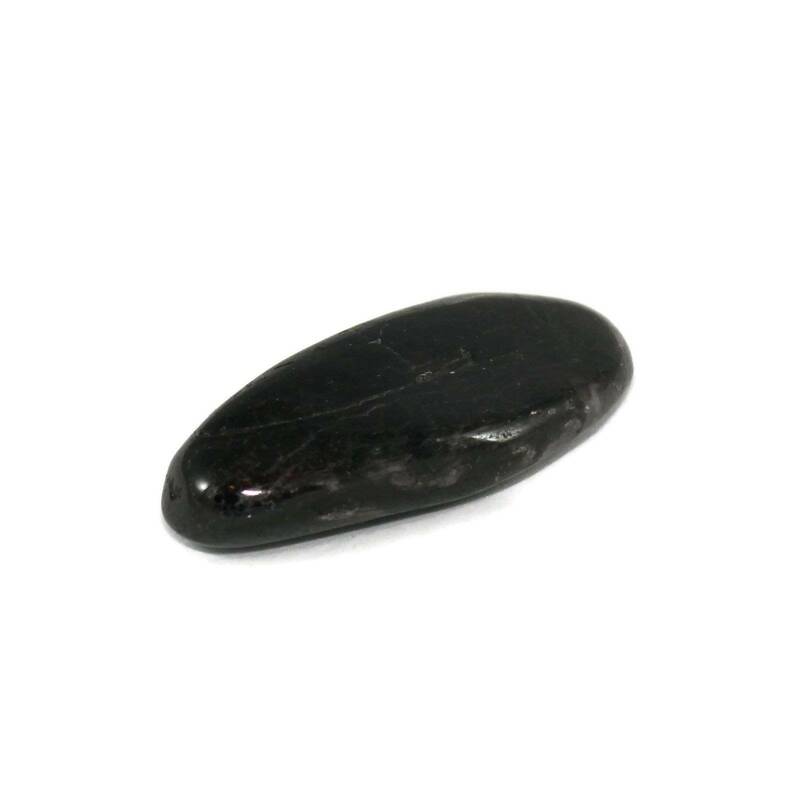 Due to its interesting optical effect, we typically don’t recommend keeping the stone in a static display. Because of that, we think it should be somewhere where it can be handled and looked at easily. 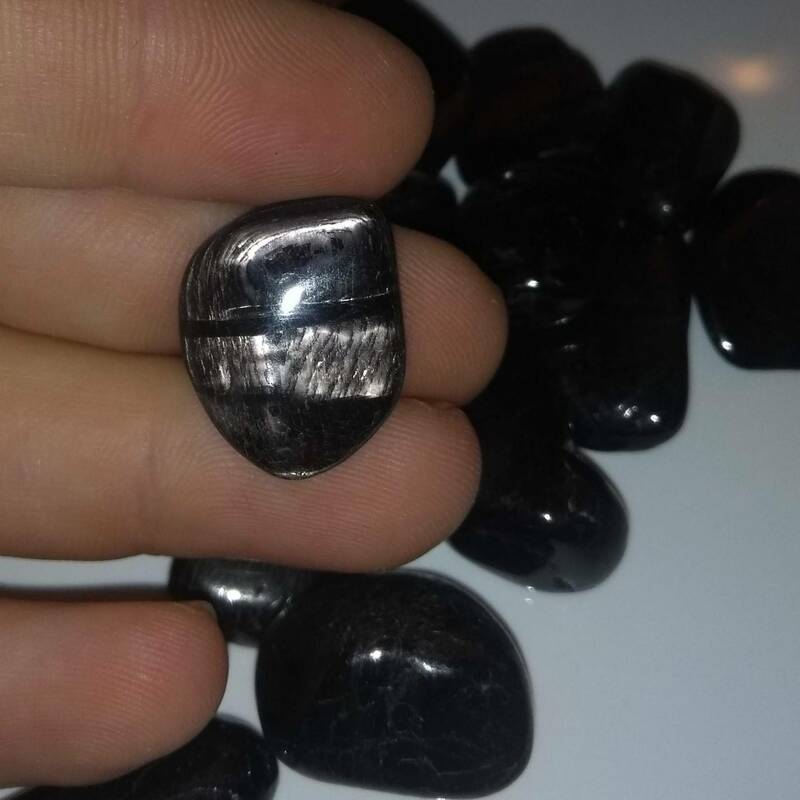 Hypersthene can also be known as Enstatite, and is sometimes mis-sold as ‘velvet Labradorite’. This is misleading, as it is not a Labradorite at all. For more information about Hypersthene, please see our main Hypersthene category.